Weed control in flower beds is important to you and every homeowner. Your time and money are well spent on landscaping with flower beds, shrubs, and trees to enhance and beautify your home, neighborhood, and community. There is a sense of satisfaction as you pull into your driveway or have friends over for a cookout, and they compliment your yard. But without fail, weeds sprout up every spring and continue through summer unless something is done about them. Normally, weed seeds lie dormant in the soil awaiting the right conditions to sprout. If the dirt is bare and the conditions are right, then the seedlings will pop up. They are aggressive and can choke out your other plants. 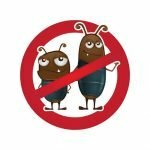 Their annoying presence litters the ground among your flowers and shrubs, becoming an eyesore unless you take action to prevent them. What seems like an insurmountable task can be easily achieved with preparation and planning. 1. Pulling the weeds by hand is the most basic method of weed control in flower beds. It is most effective when weeds are young because their root system is small and easy to pull out. It is even easier if the soil is a little damp. Remember to use a knee cushion and pull early in the day before the heat sets in. 2. Digging may be necessary if your weeds have been around longer. Their root system has had time to grow deeper in the soil, and you will need some extra effort to pull them up. Use a narrow trowel or weeding fork to root them out. 3. Don’t shoot your grass clippings onto your flower bed when mowing the lawn. The clippings can contain seed heads and therefore “plant” seeds in the bed, which will cause additional weed problems later. Also, trim the edges of your yard around flower beds to make sure weeds aren’t creeping in. 4. Plant a ground cover such as creeping phlox or ivy in your flower bed. This will help with weed control in flower beds. It blocks the sunlight to the soil and reduces the need for weed control maintenance. Check with your local nursery for plant suggestions for your area. Also, designing a flower bed with mass plantings of perennials or mature plants will block the sunlight on the soil and keep weeds from sprouting. 5. Using a pre-emergent herbicide over the area to prevent the sprouting of weeds is another choice for weed control in flower beds. The area needs to be cleared of weeds first; then the granules can be spread. It acts as a chemical barrier over the soil’s surface to inhibit weeds sprouting. Read the manufacturer’s directions for best results. 6. A post-emergent herbicide can be used on weeds that are established. It should be sprayed on the surface of the weed. Be sure to protect your other plants from drift by holding a piece of cardboard over them. Follow the manufacturer’s directions for best results. One of the most successful methods for weed control in flower beds is mulching over a barrier. This process blocks sunlight. That inhibits weed growth and helps retain moisture. If made from an organic matter it will also decompose and give nutrients back to the soil. There are several types of mulch you can use such as compost, shredded bark, shredded leaves, grass clippings, pine needle, pine bark nuggets, and cocoa hull mulch. The best barriers are newspaper, cardboard, or brown grocery bags. A single piece of cardboard works well. Adding 6 to 10 sheets of black and white newspaper sheets works, too. 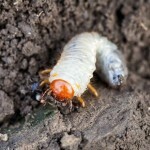 It is biodegradable, and worms love it, which is great for your soil. • The first step is to prepare the area. Pull larger weeds. Anything small that will not disturb the barrier is fine to leave. • Next, lay the paper barrier you’ve chosen over the entire area, around any plants and covering all edges of the flower bed so that the soil is no longer showing. • Wet the paper as you lay it down so that it doesn’t blow away. • Then cover with mulch 2-4 inches deep. Be sure all of the paper is covered. • As the season progresses, this paper will break down and enrich your soil. Which method will you choose for weed control in flower beds this summer? The barrier and mulch method will keep weeds at bay for the rest of the season with little to no upkeep. 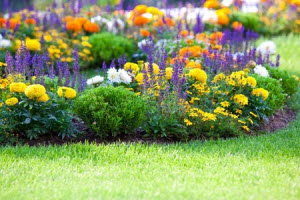 Getting your flower beds to the point where you can enjoy them takes commitment, but the enjoyment you will reap the rest of the summer is worth it. If after trying these tips you’re still having problems with weed control in flower beds, call (678) 648-2556 to reach our team of experts at Think Green.